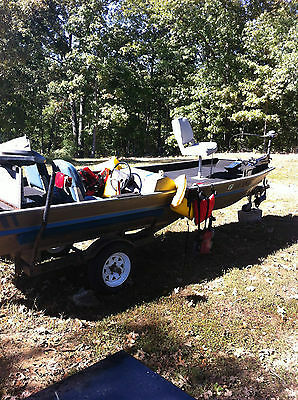 1983 14' Jon boat with a Yamaha 25 h.p. motor. Electric start. Evinrude trolling motor. 5 life jackets. Good battery. 4 seats. Includes trailer. Runs good.